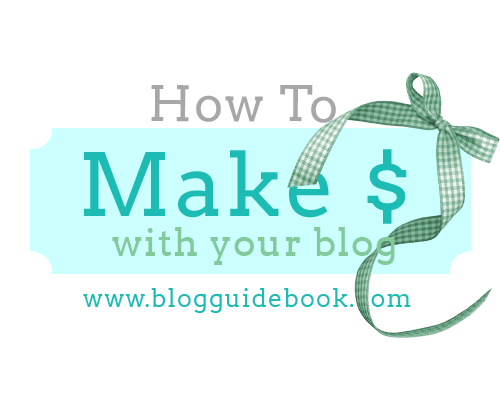 Lately, we've received many requests from our readers for information about making money with a blog. Well, we certainly don't have a magic formula, nor are we making dollars hand over fist! Our focus has always been to blog for fun and to help other bloggers have beautiful blogs...of course, a few extra bucks for the holiday season wouldn't be bad...so we have decided to try some of the sites out there that offer to pay for links and review posts. We don't know if it will work or when...but we wanted to let you know that we're testing this idea. We're sure you have heard of affiliate marketing...this is a program that involves an ad that links to a site where a reader might buy a product. You only get paid when a purchase is made. We have had some success with these, and we only choose products that we have personally had experience with. Our favorite site is eJunkie... totally free, you do have to do your own searching and legwork with this site, but you do get paid by the actual vendor whose product you are promoting. You may have to provide your own graphics for ads too, so be prepared for that. We have an eJunkie account that costs $5 per month to sell instant downloads, which we think is a bargain. You can even sell your own products via this great resource! Google's Affiliate Network is a great place to get started if you're interested in dipping your toes into the affiliate pond. Another large site would be Amazon.com and although we have tried using their affiliate codes, we have yet to see any $$$. Of course, if you have a niche blog you may have success promoting items that would complement your blog. Have you had success with Amazon? Let us know or share your story in the comments below. Your blog is the perfect place to promote your own items...if you make something special that you'd like to sell you can do this on your blog and use PayPal as an instant payment option. PayPal takes a small percentage for this service, but ultimately you get paid right away for your product or services. If you are a distributor for someone else's product, make sure it's okay to sell on your blog...it should be okay to link from your blog to a product site using your vendor number. And if you have an Etsy shop or other online shop you can promote that too! You may even ask your bloggy friends if they'd consider promoting your shop too...maybe trade items with them in payment. Getting paid to review a company's products is a great idea, but be wary as they may expect you to have many thousands of, (or at least a million) followers/readers and high page ranks. Reviewing products just to receive free products is not a new idea but one that is difficult to track down resources. A few things you can try in your search: ask another site how they got started reviewing and would they give you the contact info or make direct contact to companies that you believe will match your readership's interests (write an email to the customer service department, or send a letter even!). If you have a certain item in mind that you love and would like to review, offer to give away one of the items to your readers...don't mention yourself - keep your fingers crossed they'll send you one too. Is there a bed and breakfast you love? Offer to review it for a free night or two. Of course, it never hurts to review something on your own and link to a site without previous contact...they may want to reward your efforts! If you've reached a point in your blogging experience where you believe you have enough readers to open up your blog to paid advertising then go for it! It's not hard to do on your own...just research prices and ad sizes and make sure you have everything set up before you post it on your blog. You can set up immediate payment on PayPal and have the interested party send you their ad and all you have to do is plug it in. We found an in depth post on www.theworkathomewoman.com that covers many options for promoting your blog that you may want to read too. The Work at Home Woman site also has an extensive page of JOBS where you can work at home. Lastly, and probably most importantly, remember that making money with your blog should not be the top priority because making enough money to support yourself via your blog is a full time job and a lot of hard work and hours...many financially successful bloggers started 10 years ago and are only just now able to go solo and quit their day jobs. Think about your current content, is it premium, did you put forth your best effort? Content will always be king...that should be your focus...and the cash will come in slowly...think of it as your "pin" or "seed" money for a rainy day or your Starbucks fund even. If you are starting to see big increases in traffic, figure out what you're doing RIGHT and keep doing it! Consider joining other networks to increase traffic too...such as: Martha's Circle, BlogHer, and the SitsGirls. The SitsGirls is an awesome community that offers many blogging opportunities for women, so check them out! We hope this post has inspired you to keep blogging to your full potential, whether it involves a paycheck or not! Thank you for putting all this together - it's wonderful to have all these options! Wow, great content and places I had not heard of before. Thanks for doing the legwork and sharing with the rest of us!! Awesome Jeanne! Thanks for hanging out with us! I can't believe that I'd never heard of Google's Affiliate network. I'm a self professed Google junkie. Wow Lis! So glad we could give you some more Google goods! Hee hee. What's your favorite Google content? I am really loving the calendar and the new drive...fun stuff! Thanks for including The Work at Home Woman's article on direct advertising - appreciate the shout out! Please visit my blog guys thanks..
well i have an blog and i am in earlier stage . I am trying to earn some money from my blog and i am getting some traffic too but the thing is no one clicks on the ads ,so earnings are very less . hence from my research I found adf.ly which pays you on pay per visit ,so each time someone visits your page you earn something....its simple and FRee!!! This sites all products nice and amazing I love your all furniture. I completely agree, creating a blog is a great way of engaging readers to chime in and collaborate with you as well as bring in a few extra bucks in the process. Thanks for an interesting article! I found this great site, http://apprl.com/publisher/, for making money on my fashion blog and it really works. You can tag your photos with products (which I mostly use), pick up text links and create your own shop. It took a while for my readers to catch on but once I informed them that they can buy the products I'm wearing by just clicking the picture things started to happen. I have about 25 000 weekly readers and I earn about $800 a month. Great Website.. Like it!... SHared it.